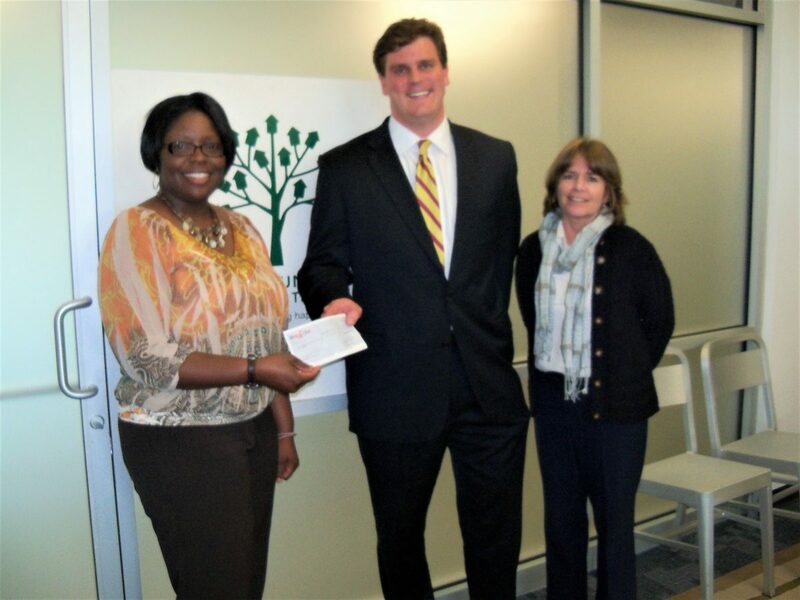 Pictured: Thomas Anderson, SCCLF Board Member and Senior Vice President of Commercial Banking with South State Bank, presents check for first investment to SCCLF staff in 2009. South State Bank was the first financial institution to invest in SCCLF, providing a $300,000 investment into the organization’s revolving loan fund in 2009. Understanding the need for both debt and equity capital to carry out their mission, South State has also provided the organization with a number of operating and program grants. Since 2009, South State has provided SCCLF with over $1.4 million in investment and grant support. In addition to providing capital to SCCLF, South State Bank provides banking services for the organization and bank representatives serve on SCCLF’s board, executive, finance, and housing loan committees. “The partnership with South State Bank has been so successful because we have developed a multifaceted relationship that allows us to communicate our strategic priorities and changing needs,” explained Michelle Mapp, Chief Executive Officer. “South State has made an effort to listen and understand our organization, and has demonstrated a desire to be a true partner in our work to transform South Carolina communities,” said Mapp. “Like us, they were a young, local organization in the beginning so we have had the opportunity to really grow together over the years, and we are continuously seeking innovative partnership opportunities.” The bank’s financial support has reflected this growth as they provided SCCLF with a $750,000 investment in 2018, nearly triple their initial investment.